« Welcome Back, JES Dragons! 9/11/18 UPDATE: Our back-to-school registration has closed. If you are new to JES, please check back soon on our registration page for a new link for incoming families. 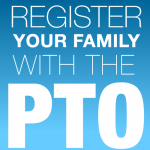 Thanks to all who signed up with the PTO this year…we are thrilled to have you!